Green Hill Zone’s loop-de-loops and tropical scenery make for one of the most iconic stages in Sonic The Hedgehog. Sonic Mania’s version of GHZ adds new complications and complexity that’s turned it into one of the game’s most hotly contested speedrun courses. 2-D platformers like Sonic Mania thrive on the notion of fast, uninterrupted movement in one direction. It’s all about moving towards the right side of the screen. Sonic Mania individual level runs are less about glitches and more about finding the right lanes and pathways. 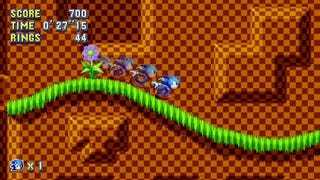 In considering the best possible route through a level, runners need to balance the number of potential obstacles with any powerups that increase Sonic’s speed. Items like speedshoes or invincibility offer increased speed, but these items might rest on paths filled with too many hazards. Green Hill Zone is the first level of Sonic Mania, and it introduces new pathways and powerups that set it apart from the original version. As Mania’s first real speedrun challenge, the stage’s time attack record constantly shifts from one runner to the next as they map out and determine the best way through the level. To determine the best path through a level, runners split it into a top, middle, a bottom segment. The fastest routes actually shift between these three layers from moment to moment, finding the best temporary segment before transferring to another. As a result, routing in Sonic Mania is a cost benefit analysis between various pathways and the best ways to move between them. This can be a daunting task, as Mania’s level design is far more complicated than the source material. Before the PC release, runners had to create a patchwork map to help them scout the best paths. Mychal “TriHex” Jefferson, a speedrunner known for Yoshi’s Island, took time to help Kotaku break down the process that goes into running Green Hill Zone, Act One. The current world record on the Switch is a 0'28'61 by Joey. In Green Hill Zone, Act 1, runs start on the middle path before moving moving into the lower segment. Runners keep on a simple rightwards path up until the first loop. After that, they descend down through a tunnel to grab a speedshoes powerup before taking a spring that leads them to a series of platforms that move up and down over spikes. Platforms in Sonic Mania run on a global timer, which means that they start moving the moment a level is started. If a runner doesn’t reach them at the right moment, they won’t be in the proper alignment. In Green Hill Zone, the platforms in question create an uninterrupted path that runners can speed over so long as they reach them at the perfect time. Following this, they can use one last tunnel to speed down a layer before shooting upwards towards the goal. The key to this route is the speedshoe powerup from the middle segment, which prove essential for the run’s final moments. If runners can speed over the platforms and into the final segment with the powerup active, they are able to run towards the final cliff edge without too much hang time. The higher you go in Sonic Mania, the more speed you lose. The additional momentum means that runners can leap at a slightly curved angle that retains speed while leaping over an extra ledge. It brings them directly to the goal at the top level. What follows are small optimizations meant to eke out the precious seconds or milliseconds that create a new record. 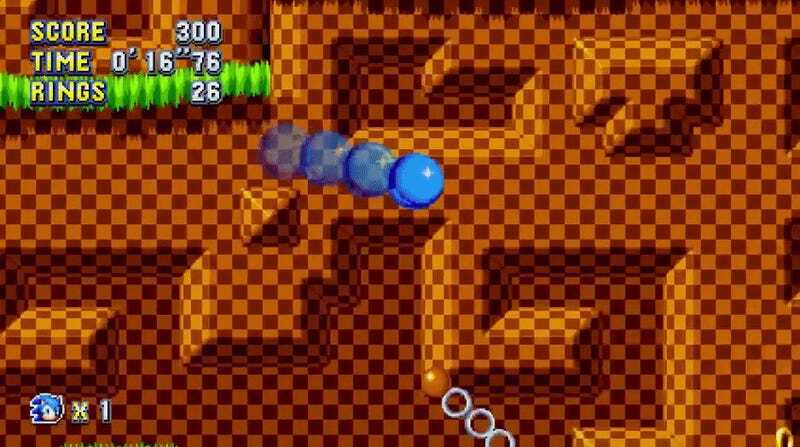 Among these techniques are a speedier way of moving through loops with a small jumping sequence (showcased prominently in the world record video above), bopping Sonic’s head against an invincibility powerup without collecting it, and a small stop in momentum near that allows runners to drop dash directly into the final tunnel. 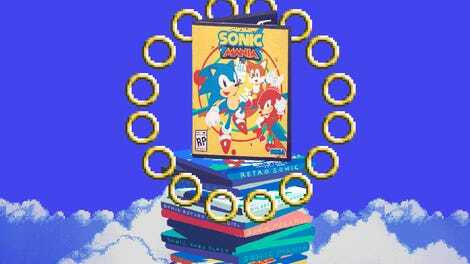 Green Hill Zone is case study for Sonic Mania speedrunning and its emphasis on optimal paths. What the game lacks in major skips or glitches, it makes up for with fast, in-the-moment decision making about the best route to take and powerups to snag. Sonic’s gotta go fast; the challenge for speedrunners is figuring out the best path to race down.